Peter Sherrard, originally from Newcastle, Co Down began his role as the Chief Executive Officer at the end of April 2018. 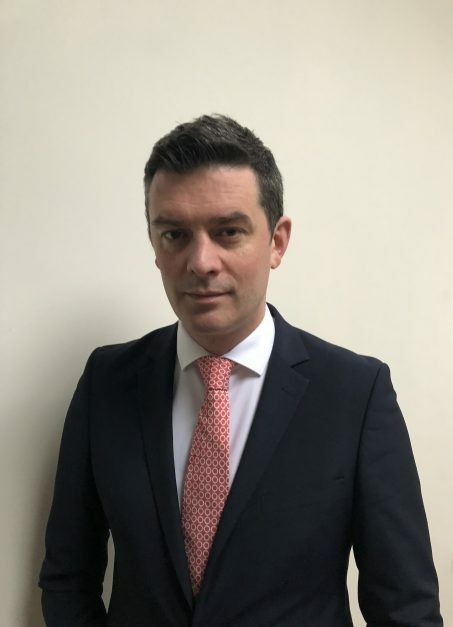 A graduate of Trinity College, he is a fluent French and Italian speaker, having lived and worked in both countries and has ten years of experience working in Irish sport. His CV includes Market Manager for Ryanair in Italy, Head of Communications at Ryanair, Director of Communications for the Football Association of Ireland (FAI) and Interim Commercial Manager at the FAI. He comes from his role as the FAI’s Operations Director since 2014 which involved responsibility for all international team and match operations, including the 2016 UEFA European Championships. Martin joined the Olympic Council of Ireland prior to the Barcelona Olympic Games in 1992. His background is in Canoe Flat-water Racing, but he has also competed in Cycle Road Racing. He has been involved in four Olympic Games. Martin was Chef de Mission for the last two editions of the European Youth Olympic Festival and has attended five European Youth Olympics overall. He was an instrumental part of the Team Ireland HQ management team in Beijing 2008 and London 2012. Martin was appointed Chef de Mission for Nanjing YOG 2014 and the EYOF Tbilisi. Linda has been involved with the Olympic Council since Barcelona Olympics 1992. She was part of the OCI support team in London 2012. She has 16+ years experience providing outstanding administration and personal support to Senior Executives. Alex provides secretarial support to the Honorary Official and Executive Staff, and has been employed with the Olympic Council from June 2007. Alex has a BSc in Marketing and Economics, possesses an Advance Computer Certificate and speaks two languages Hungarian and English.